Posted 27 October 2017 by Sam Brickley & filed under Articles, Business, Design, Marketing, Money. Remember when you left school to paint and your parents told you art would never pay off? You were right not to listen, because creativity is the spice of life. But, if you haven’t made any money by the time you’re thirty, it might be time to look into something else. The bohemian lifestyle has its merits, but it won’t buy a roof over your head, or even food to keep you going. If you’re already dreading the smug ‘told you so’ smiles from your parents, don’t. 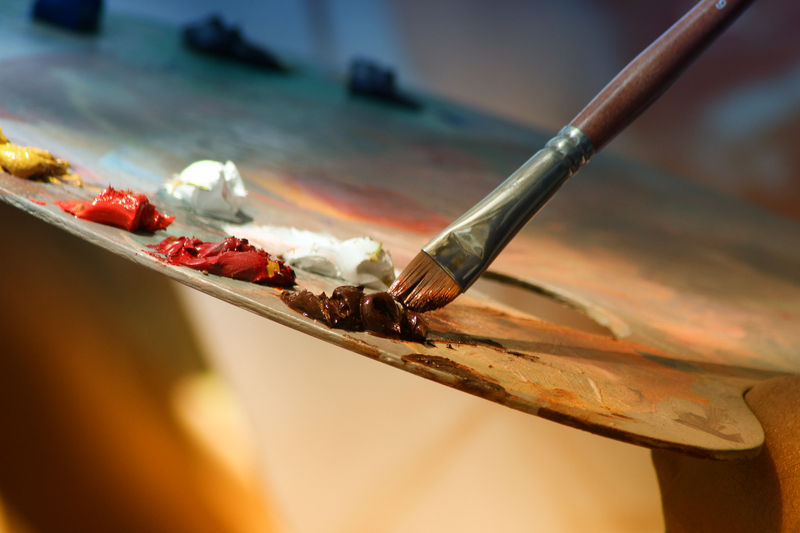 There’s still a way to put your artistic talents and the time they’ve taken to use. 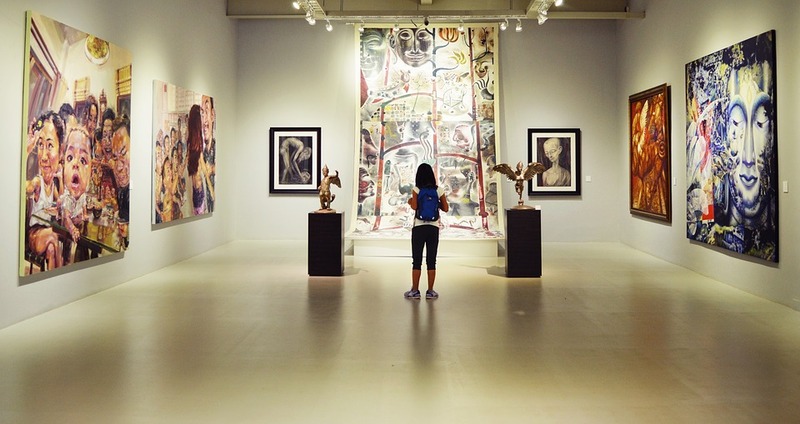 Art galleries are big business in any metropolitan area. There’s no getting around the fact that people are willing to pay for art, despite what your journey has taught you. With the right backing, and a label people recognise, paintings can fetch large amounts. Galleries, therefore, can do a booming trade. Even better, your years of trying to make a name for yourself make you the ideal person to open one. And, to help you on your journey, we’re going to look at a few ways you can make a success of things this time. When painting your own art, planning probably didn’t feature. The main thing when creating is just to jump in and see what happens, right? Well, this is one area in which your experience in art won’t help you. Just jumping into a business plan is the worst thing you can do. If you want to stand any chance at affording your enterprise, you need to take the time to develop an in-depth plan for expense and profit. To ensure you can get off the ground, you’ll need a small business loan. As you’re a newbie to the business world, read the FAQ page from companies like Unsecured Finance to gain some idea of what to expect in your application. You may also want to research repayment plans. Make sure, too, that you don’t apply until you’re ready to go. Most loans like these are approved straight away. While ideal for convenience, this won’t do you any good if you haven’t developed an expense plan to work with. The longer you take, the more interest you’ll have to pay back on money that’s just sitting there. Get it done beforehand! Now you’re on a more familiar footing. When it comes to buying art, you can use your connections in the business to get good deals on the best pieces. Don’t hesitate to contact any designers, or prominent names who could get you far from the off. That way, you can remind family members that all those networking events weren’t a waste of time. They do say, after all, that it’s not what you know, but who. And, if you explain what you’re doing, your art acquaintances are sure to want to help out. That said, don’t fall into the trap of thinking you can approach these matters without much thought. When you were making art yourself, your interactions with these individuals were probably casual. As a gallery owner, you need to take a much more professional stance. This is business now, after all. You and the artists in question are no longer on even footing. As such, they may take advantage if you approach in the wrong manner. Keep any propositions official. Always arrange meetings instead of mentioning things off the cuff. You may also decide to exhibit work from artists you don’t already know. It’s always good to expand your reach, and this is the ideal chance to do it. But, that doesn’t mean you can’t use your past life here as well. The chances are that you know well what makes a good painting and what doesn’t. You probably also have some idea of skill levels involved in each artwork. Make sure to consider these things when viewing potential pieces. Analysis like this will help you spot quality pieces, as well as giving you some idea of how much they’ll sell for. Hence, you won’t fork out large amounts on a painting worth half that cost. As well as daily open hours, any successful gallery hosts exhibitions for chosen artists. In many ways, these will be make or break moments for your gallery. While you may not make many actual sales during an exhibit, this is your chance to impress. With a bit of luck, you can ensure you stick in client’s minds. During the lead up to events, you can also draw on your experiences. The chances are that you’ve attended an exhibition or two in your time. Think back to what you most enjoyed about successful events. Think, too, about anything which didn’t work as well. Every touch is essential, from the food and drink to the background music. So, leave no stone unturned when remembering. Then, find a way to merge all your favourite features into one fantastic show. Artists are notoriously tricky to deal with in business. It’s understandable. To them, each painting is hours of creative struggle and emotional output. To a gallery owner, however, it’s nothing more than money. Hence, the two clash on a regular basis. Artists will always think their work is worth more. If they didn’t, something would be wrong with them. The good news is, you have the resources you need to develop good working relationships. After all, haven’t you been where they are? Haven’t you, too, felt the desperation to have someone see the beauty in your work? With that in mind, make sure always to consider an artist’s needs. Simple things, like complimenting the piece and picking out specific features, will take you far. Knowing that you see the merit in their work is the best way to ensure you can buy for a reasonable amount. That way, everyone will leave happy.